Donnie Eugene Bledsoe, Sr., 71, of Chattanooga, went to be with the Lord on Wednesday, February 6, 2019 surrounded by his loving family. He was a proud veteran of the U.S. Marine Corps where he served 21 months in the Vietnam War. 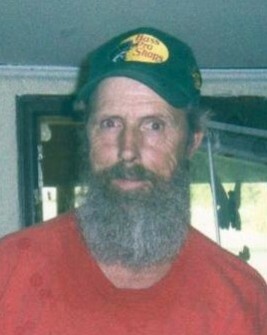 Donnie was an avid fisherman and hunter. He was preceded in death by his parents, Eugene and Juanita Bledsoe and brother, Ronnie Bledsoe. Survivors are his wife of 46 years, Maxine Hinds Bledsoe; son, Donnie Bledsoe, Jr. (Tequila); daughter, Christy Haney (E.B. ); 6 grandchildren, 2 great grandchildren; sisters, Linda Lee (Vernon), Betty Chancy (Herb), JoAnn Foster (Jerry), Jackie James (Charles) and Charlene Raulston (Gordon). Visitation will be on Sunday, February 10, 2019 from 4:00 p.m. to 8:00 p.m. at the funeral home. Services will be on Monday at 12:00 p.m. in the funeral home chapel with Pastor Terry Evans officiating. Burial will follow at National Cemetery. In lieu of flowers please make donations to Vietnam Veterans of America Chapter 203.